Holistic Nutritionist, Carley Mendes, shared six healthy easter treat recipes with us that will be total game changers come Easter egg hunt day. 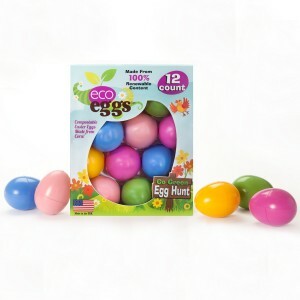 From naturally dyed Easter eggs to technicolor bliss balls that don’t include any nasty chemicals, these are treats everyone will love. Ready to get cooking? Check out Carley’s recipes Healthy Easter treat recipes. 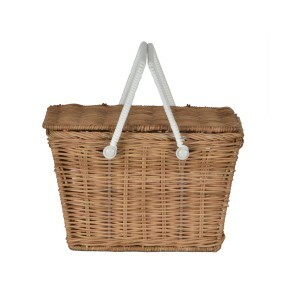 Handmade and fair trade, this is a basket that will be used for a lifetime. 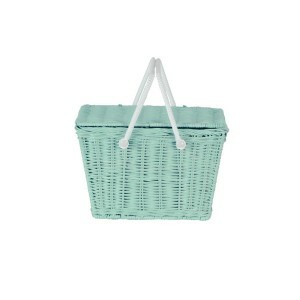 From picking up Easter eggs to toting around a favorite doll to transporting fresh flowers from a Farmer’s Market – you’ll love this high quality basket from Olli Ella. 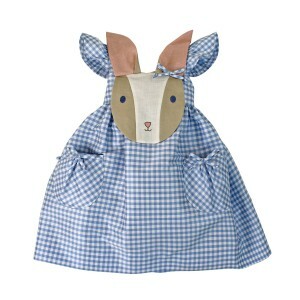 Made in Texas out of super soft and breathable linen, the Little Goodall Bunny Dress was simply made for spring. Whether you’re collecting Easter eggs or simply meeting up for playtime at the park, this thoughtfully designed piece will spark joy, wonderment and awe. 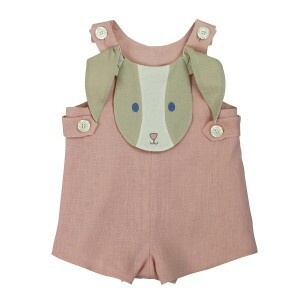 The his to Little Goodall’s hers, this adorable bunny themed John John suit is another versatile yet playful playsuit any little animal lover will enjoy wearing. 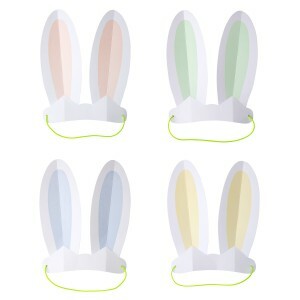 Great for parties or your little one’s squad, Meri Meri’s pack of eight pastel bunny ears add that bit of extra we all love and need around the holidays. 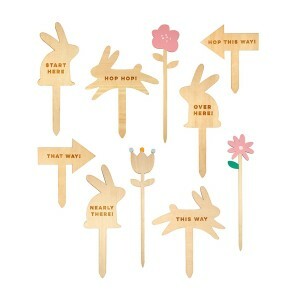 If you’re hosting an Easter Egg Hunt, you 100% need this wooden Egg hunt signage kit from Meri Meri. 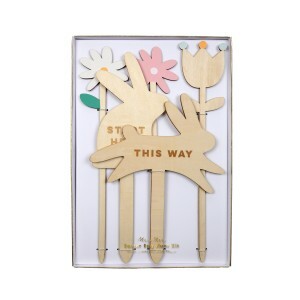 With bunny and flower shaped directional signs and decorations, kids will fall down the proverbial rabbit hole and into Easter bliss. 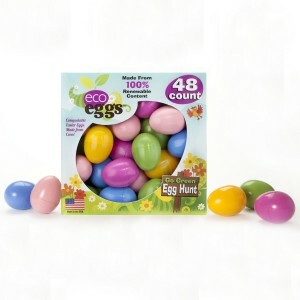 Made in the USA, these innovative plant based Eco easter eggs are recyclable, renewable and non-toxic. Still incredibly sturdy and safe for outdoor hunts, you can feel better knowing they’re not going to end up in a landfill.